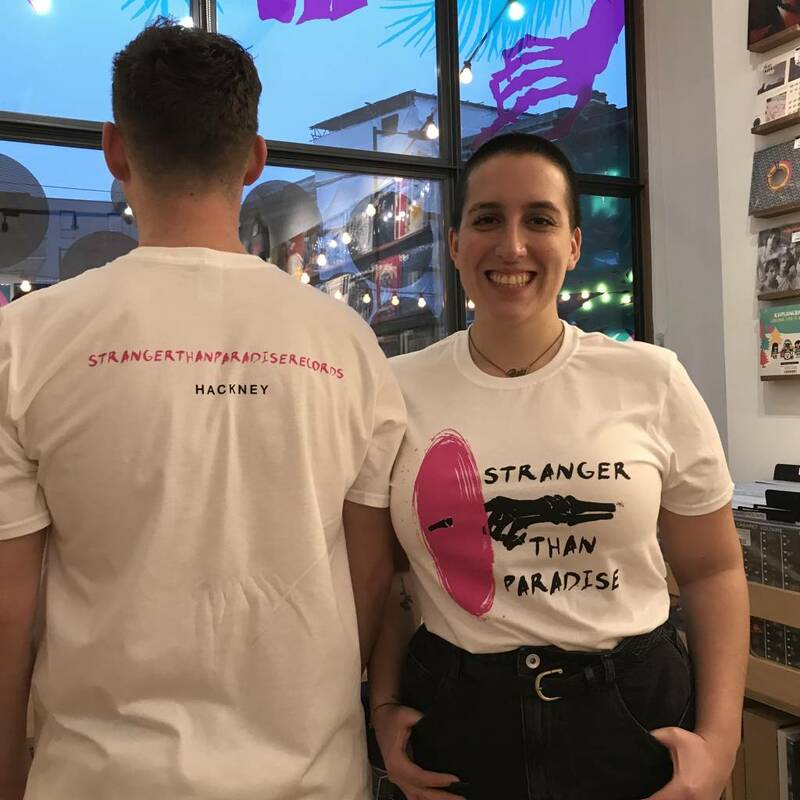 Super limited exclusive Stranger Than Paradise t-shirt. Once they're gone, they're gone for ever! A brand new two colour design featuring a black skeleton hand spinnnig pink vinyl on a American Apparel ringspun t-shirt.